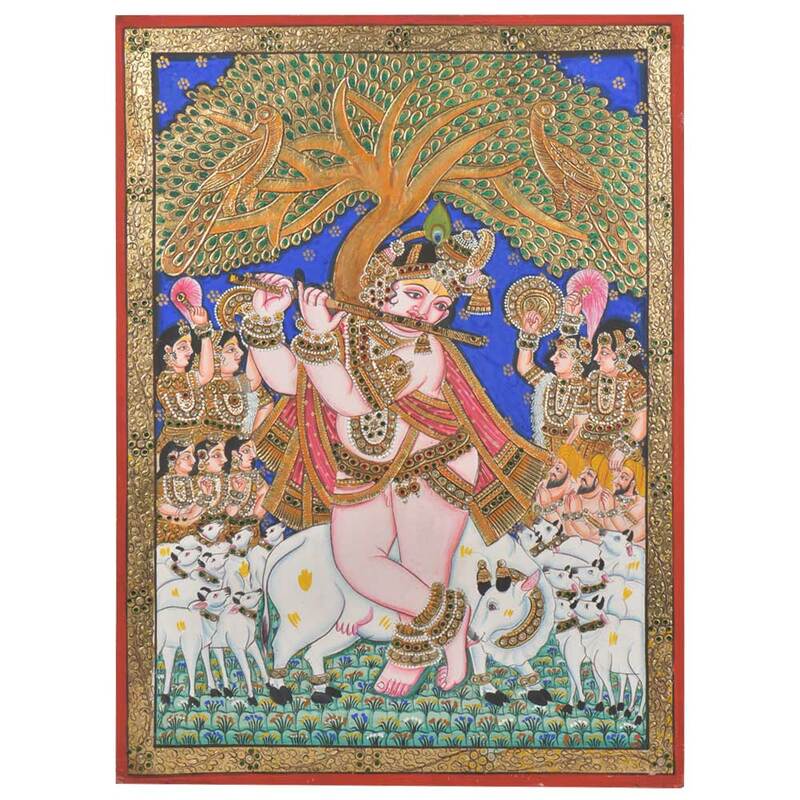 Lord Krishna is one of the most loved and revered Gods in the Hindu religion. He is regarded as the eighth incarnation of Lord Vishnu born as human in ‘Dwapur Yug’ (Iron Age). The Lord is usually depicted as playing the flute (murali), indicating spread of the melody of love to people. Width : 17.75 inches approx.